The 1 day range for BTC is $6907 – $7150. It is currently up 2.14% in the last 24 hours. Even with the BTC increase of +2%, most factors are signaling to sell or short BTC/USD right now. 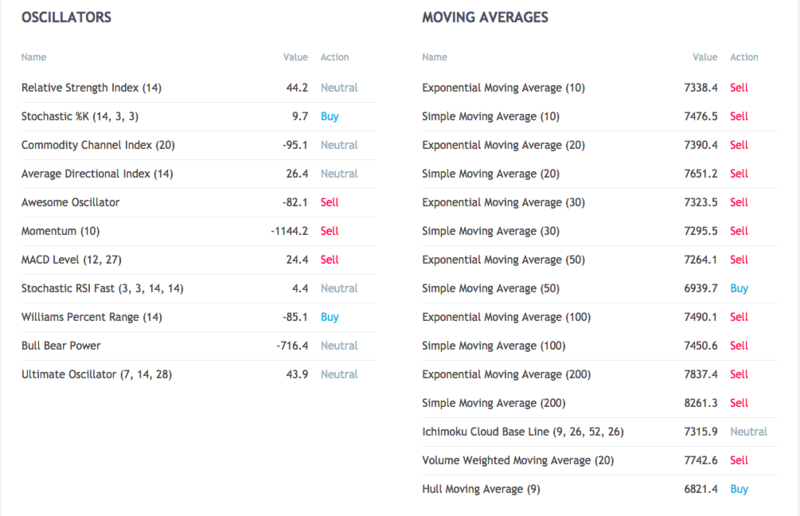 Moving averages are almost completely in the red territory. This despite a string of good news from banks (Goldman Sachs) and adoption (Bakkt plans from NYSE). Starbucks has clarified it won’t be accepting BTC, but it hasn’t ruled it out in the long term. Traders have shown some optimism in BTC over the last 24 hours, but there’s uncertainty if it can break major barriers it has seen like $7200 and higher at $7400. Likely, we’ll see a drop again below $7000 and again battling support levels near $6950 and $6900.